I’m not a huge fan of anthology films. This is partly down to the fact that they can be a mixed bag, with some great short films mixed with some not-so-great ones. It’s also because I’ve never been all that interested in short films in general. Animated films are the exception to this – I love a good animated short, which might explain why Memories (1995) is probably my favourite anthology. For whatever reason though, I rarely get excited about short live action films so I’m equally unenthused when presented with a few of them in the package of a feature film. However, when I came across Dreams, an anthology film directed by Akira Kurosawa (although IMDB claims Godzilla’s director Ishirô Honda lended a hand) I was instantly interested. I’ve mentioned in previous reviews how Kurosawa is the director I’ve found most consistent in terms of quality. I’d seen 8 of his films prior to Dreams and loved them all, so if I see Kurosawa has directed any genre of film or subject matter, no matter how unappealing it may be to me, I’m always going to be more than willing to give it a shot. Dreams (or Akira Kurosawa’s Dreams as it’s also known) tells 8 stories supposedly based on the director’s actual dreams. Each feature a surrogate version of Kurosawa entering different worlds or stories. ‘Sunshine Through the Rain’ sees a young boy spy on a fox wedding on a rainy yet sunny day. Such an act is forbidden and the boy is asked to face punishment for it. ‘The Peach Orchard’ opens with a young boy following a mysterious girl to a now treeless orchard, where the peach tree spirits, now in life-size doll form, berate the boy for his family cutting them down. Seeing that he was not happy about his family’s act though, the spirits enact a final spring blossom performance for him. ‘The Blizzard’ has a group of mountaineers struggle to break through heavy snowfall, just about giving up before a strange woman appears to help them. ‘The Tunnel’ follows a Japanese commander as he walks through the titular tunnel. Once out, he sees he has been followed by the ghosts of his slaughtered company. The commander is deeply troubled by their presence and apologises for being the only survivor. In the second half we begin with ‘Crows’, where an art student finds himself drawn into the Van Gogh paintings he’s admiring. In them he meets the artist himself (played by Martin Scorsese) and tries to follow him to find out more about his inspirations, which is tricky given Van Gogh’s troubled mental state and he becomes lost in the artist’s work. ‘Mount Fuji in Red’ is set during the chaos following the melt down of a nuclear power plant near Mount Fuji. After a while, only two men, a woman and her two children remain as everyone else has thrown themselves into the ocean. The survivors debate the pros and cons of doing the same or facing a slow death by radioactive poisoning. Playing as a semi-sequel to this, ‘The Weeping Demon’ is set in a post-apocalyptic world where a normal looking man meets a ‘demon’, who is actually the result of radioactive mutation and is part of a whole new race of disturbing creatures who feast on the bodies of survivors. The final film, ‘Village of the Watermills’ takes us away from nuclear devastation to a quiet village in the country. A traveller comes across an old man who explains how the village shuns science and technology for a peaceful, traditional and natural life. We also witness a joyous funeral procession for one of the villagers. Dreams covers a variety of film styles without feeling too wildly different due to some unified messages. 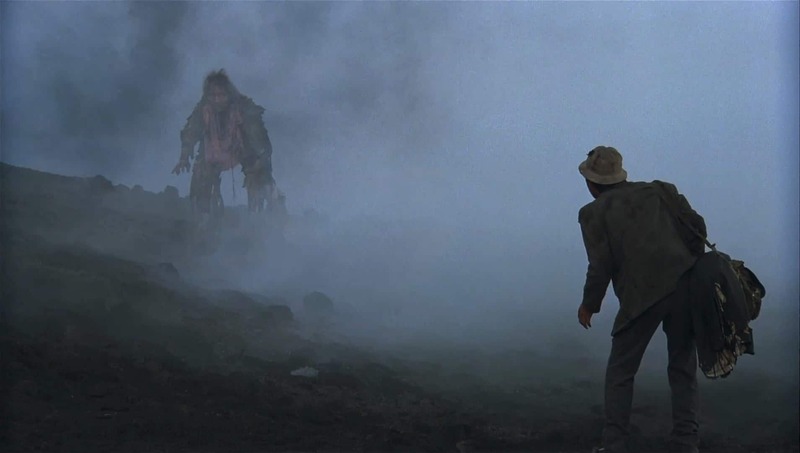 You’ve got tropes and settings from fantasy films (a lot of this of course, but some more obviously fantastical than others), Japanese Noh theatre, sci-fi, post-apocalyptic, horror and low key drama. With this mix the visuals are wonderfully rich and varied and this is where the film truly excels. It looks absolutely stunning – boldly colourful at times, beautifully staged and framed. There are some wonderful visual ideas, from the dance-like fox wedding and peach blossom performance, to the terrifying vision of Mount Fujiyama glowing red from nuclear fallout, to bringing Van Gogh’s paintings to vivid life. Special effects are quite frequently used, but always tastefully (as put in the commentary). They don’t always look ‘realistic’, but they always look beautiful or striking. Kurosawa also, as always, makes great use of the elements to bring added life and drama to his frames. The craft throughout the film is top notch, as is to be expected from Kurosawa. On top of the stunning cinematography, there is some beautiful music, mixing traditional Japanese styles and Western scoring, as well as utilising several classical pieces. There’s some very effective sound design too – the mountaineering film in particular has an eerie minimalist style. Dreams presents quite a bleak view of the world. It’s clearly a very personal film and Kurosawa seems to be mourning the loss of the world’s purity and innocence as well as damning some of its selfish and stupid actions. Most of the stories seem to have some sort of environmental or anti-nuclear/violence message. This is where the film falls short a little for me though – I found his finger wagging a bit blunt and the messages clunkily explored in the dialogue at times. This is most evident in ‘Mount Fuji in Red’, which opens in spectacular fashion with the explosive meltdown, but stumbles through the following debate about the situation. Due to the anthology format, I found the film quite slow too. There isn’t one central story to keep you hooked, so the film as a whole dragged, not helped by a large number of long monologues. That said, because there are quite a few diverse stories, if one doesn’t grab your attention there’s always a new one around the corner and the imagery is consistently powerful enough to provide something interesting to look at. Overall then, it’s a bit slow moving and preachy, but visually mind-blowing. There’s some mightily impressive craft on display in the mis-en-scene and cinematography. I just felt the content wasn’t always graceful enough to back it up. 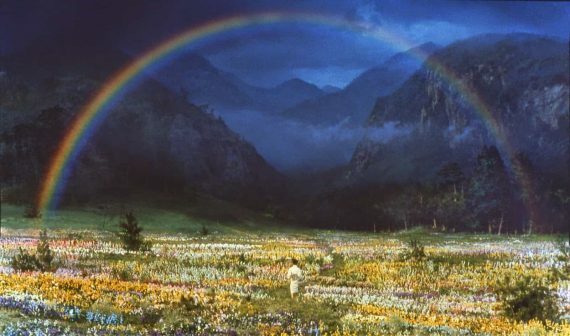 Some of the more fantastical flourishes work very well though and as a visual feast it’s hard to top, so I’d still recommend it, even if it’s probably my least favourite Kurosawa film to date (I’ve still got plenty to watch though). 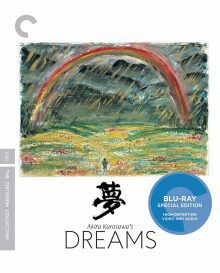 Akira Kurosawa’s Dreams is out on 21st November on Blu-Ray in the UK, released by The Criterion Collection. The picture and sound quality is astounding. The colours absolutely pop in high definition and the picture is sharp and clean, whilst remaining a natural look. The wonderful soundtrack comes through nicely too. – New audio commentary featuring film scholar Stephen Prince. – Making of “Dreams” (1990), a 150-minute documentary shot on-set and directed by Nobuhiko Obayashi. – New interview with assistant director Takashi Koizumi. – New interview with production manager Teruyo Nogami. – Kurosawa’s Way (2011), a 50-minute documentary by director Akira Kurosawa’s long-time translator Catherine Cadou, featuring interviews with filmmakers Theodoros Angelopoulos, Bernardo Bertolucci, Clint Eastwood, Alejandro G. Iñárritu, Bong Joonho, Abbas Kiarostami, Hayao Miyazaki, Martin Scorsese, Julie Taymor, Shin’ya Tsukamoto and John Woo. – New English subtitle translation. I must admit I haven’t had the time to watch everything yet, but I listened to the commentary which is strong, providing an in depth analysis of the film rather than providing too much information about the production process. Sounds intriguing. I’ve heard mixed reviews of this film but still want to see it, especially after your review. I’m currently plugging the holes in my Kurosawa knowledge with the free 30 day trial of BFI Player. They have 22 of his films on there including some real rarities. 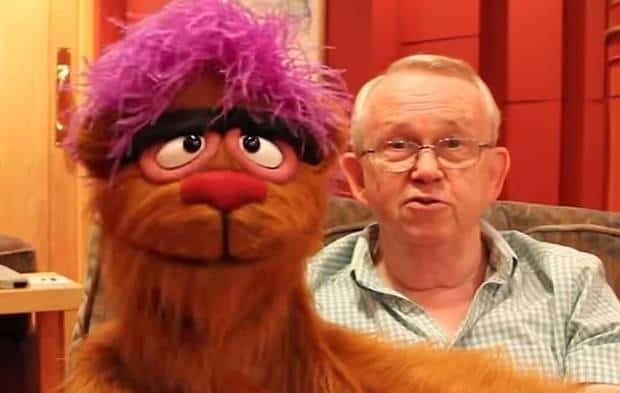 It’s definitely worth a watch, even if I had a few problems with it. I’m eager to watch more Kurosawa too. I’ve seen most of the big ones, but there are still gaps and I’ve been impressed every time. You should check out High and Low if it’s on the BFI Player – it’s one that isn’t talked about as often as Seven Samurai, Rashomon or Yojimbo, but it’s equally as good. Yes, that was one of the first I watched and was extremely impressed. There are some more slight early efforts but still not encountered one I don’t like yet. The Hidden Fortress was terrific fun.